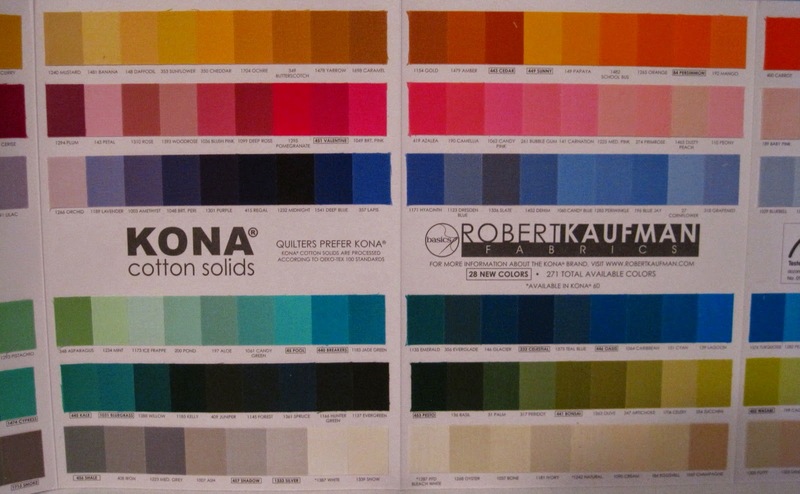 Thanks to my friend Jenn over at A Quarter Inch from the Edge for introducing me to Kona Solids from Robert Kaufman. With 303 great colours, it is easy to find a match for any print. The colour card is too large to get a good photo, so you can check out all the colours over at Robert Kaufman. To Do Item 1: Go through all my projects to see which colours I have already used. To Do Item 2: Use many, many more of the fabulous colours!